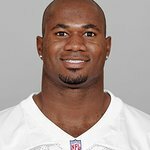 Dallas Cowboys cornerback Terence Newman launched his charitable foundation, the Terence Newman Rising Stars Foundation, in 2007. The foundation was formed in order to benefit and support the most promising young student-athletes in the Dallas Independent School District. This program annually selects 10 ninth-grade football players each year from the Dallas area high schools. The selections are made from a pool of nominees made by the counselors and coaches at those schools, and they are nominated based on their outstanding character, good citizenship, leadership ability and commitment to excellence in the classroom and on the field. Once they become “Rising Stars,” the selected kids take part in a full slate of program activities, which include academic support through Sylvan Learning Center, as well as regular mentoring and special events with Newman himself. These events include outings to Cowboys games, community service activities and other surprise opportunities. If the program’s participants maintain its standards of character and grade point average throughout their high school years, Newman will reward each of them with a minimum of a $5,000 college scholarship upon their graduation. Google trends for "Rising Stars Foundation"
We don't have any videos related to Rising Stars Foundation.